Even as a young child I remember being just a little bit different than most kids my age. I was super shy, quiet and I much preferred to sit on the outside and watch everyone else than actively participate. And that's just the beginning. I've just never been one to do things the same as everyone else. It took me awhile to realize that there was nothing wrong with being a little different and to accept myself for my uniqueness. When my son was diagnosed with autism, I knew it was important to teach him to love himself for all his little differences. Those sweet little quirks that make him 100% Shaun, 100% unique...his love of Thomas, Pokemon, comic books and video games. His astounding ability to remember dates and the smallest of details. The way he jumps up and down when he's excited or dances around like he has ants in his pants. All these wonderful little traits are the traits I love most about him, and I make sure to remind him each and every day that there is beauty in our differences and that God made him perfect just as he is. 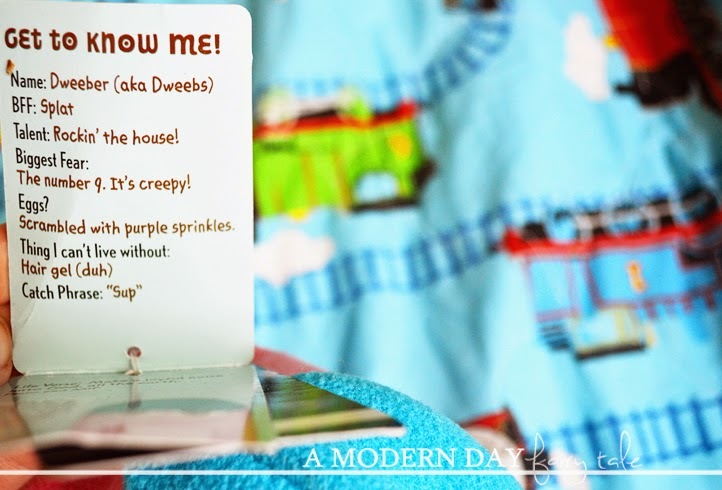 It is for this reason that I LOVE the U-NEEKS collection from Dayspring! The U-NEEK Collection offers a large variety of products from stickers and notepads to our personal favorites- the plush toys!! For this review, I received a gift code to purchase my favorites from the U-NEEK collection. We picked out some stickers, a book of encouragement notes and lots and lots of plush- including a super fun Pillow Plush!! 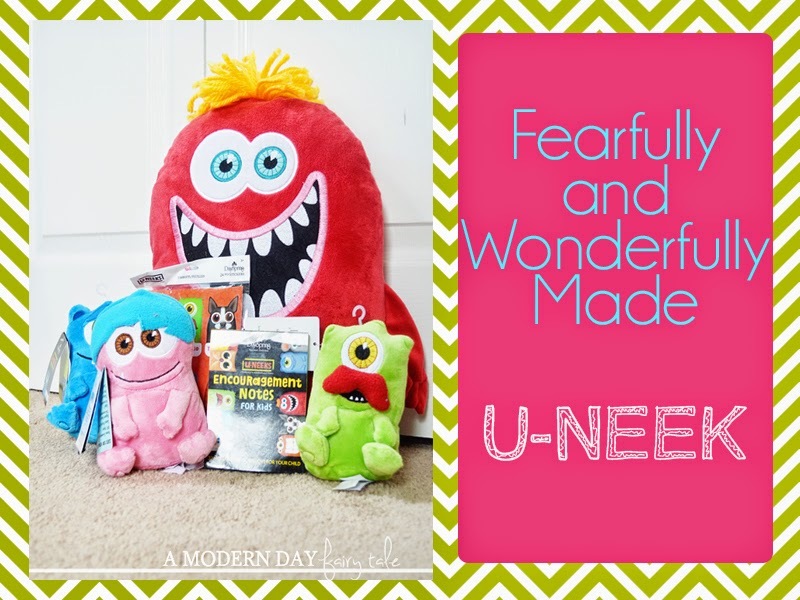 Plush toys are my son's favorite type of toy anyway, so he loved meeting all these new characters and learning all about what makes them u-neek. The fun colors, goofy looks and clever personalities were such fun! Each plush had a tag sharing information about that particular character. Their talents, their fears, catch phrases and my favorite part- their life verse! They are each very different and fun, and truly are a fabulous reminder that we are 'fearfully and wonderfully made'. 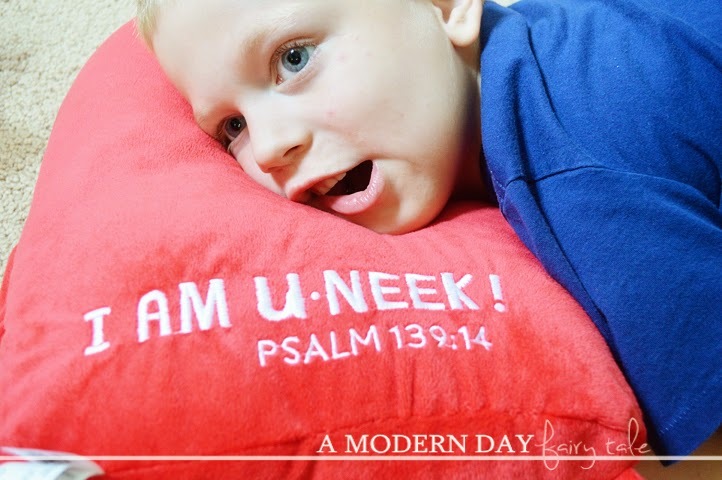 In fact that's the whole message behind this collection, which is why the pillow Wally even has Psalm 139:14 written as a built in reminder! Telling my son how great it is to be unique is great, but let's be honest, as his mom he figures I have to say that. Keeping it fun and showing him it's not just MY opinion makes it mean that much more, and that's just what U-NEEKs do! 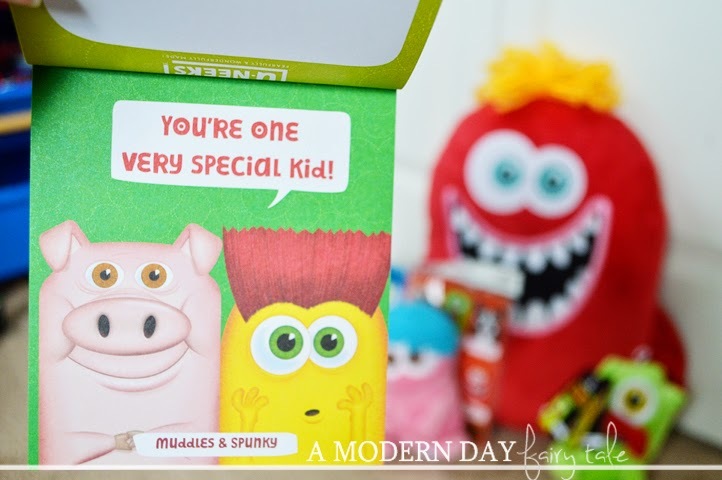 Want to share these fun characters with a child in your life? Great news! They are available from June 15- July 14 at your local Hobby Lobby and Walmart stores, so you can go check them out in person! Or you can always order online at Dayspring.com! And if your little one loves technology, they'll love to see their favorite new characters in a great new app available through iTunes and Googleplay. What makes your child unique? What do you do as a mom to teach them to embrace their differences or the differences in others? Which U-NEEK would your child love most? Your son is so blessed to have a parent like you! Bless you for knowing that your son isn't just autistic but so special in his own right. These are just great and I'd love to get one for my niece.